This book contains the operational information and techniques for flying conventional-gear airplanes. It is loaded with information, facts and plain English explanations to eliminate mistakes. 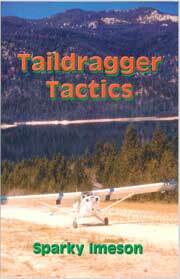 The Taildragger Tactics book has been structured to allow one to read from the beginning to the end much like a novel. Each chapter builds and expands upon information that was presented in the previous chapter; however, each chapter is also self-contained to allow one to read only the chapters desired. 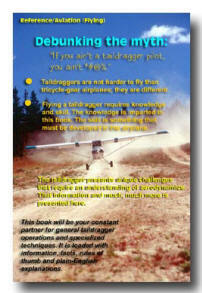 Flying a taildragger requires knowledge and skill. The knowledge is imparted in this book. The skill is something that must be developed in the airplane. Book dimensions: 5.5" x 8.5" x 0.45"